ROCKFON® presents a broad palette of colorful ceiling solutions to inspire creativity in commercial interior design. 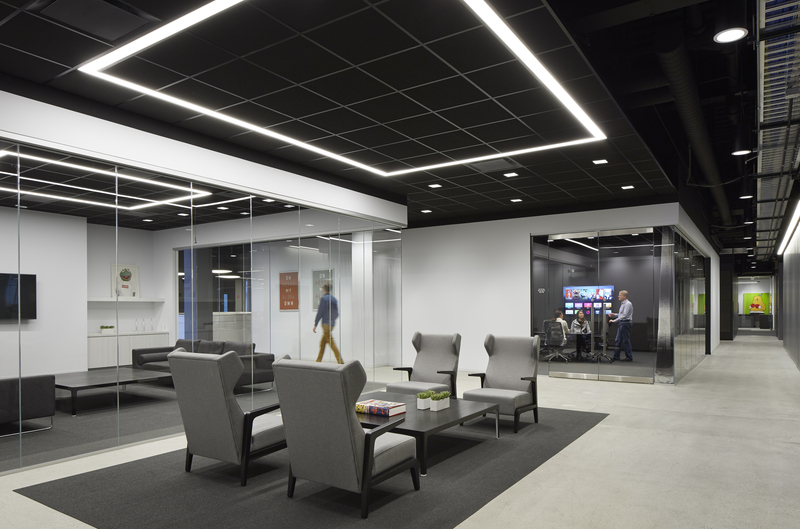 A full spectrum of hues now is offered for stone wool acoustic ceiling panels, specialty metal ceiling panels and ceiling suspension systems. The variety of colors and finishes are showcased in Ceiling Solutions that bring color to life, a new brochure available free for download. ROCKFON's 34 exclusive Color-All™ colors have been harmonized across its stone wool acoustic panels, specialty metal panels and suspension systems. "Color plays a vital role in influencing our experiences inside buildings and enhancing the architectural form. It is an international, visual language understood by all," says Chris Marshall, ROCKFON's vice president of marketing and business development in North America. "The use of color is never neutral. All color conveys mood, function and atmosphere in a room. 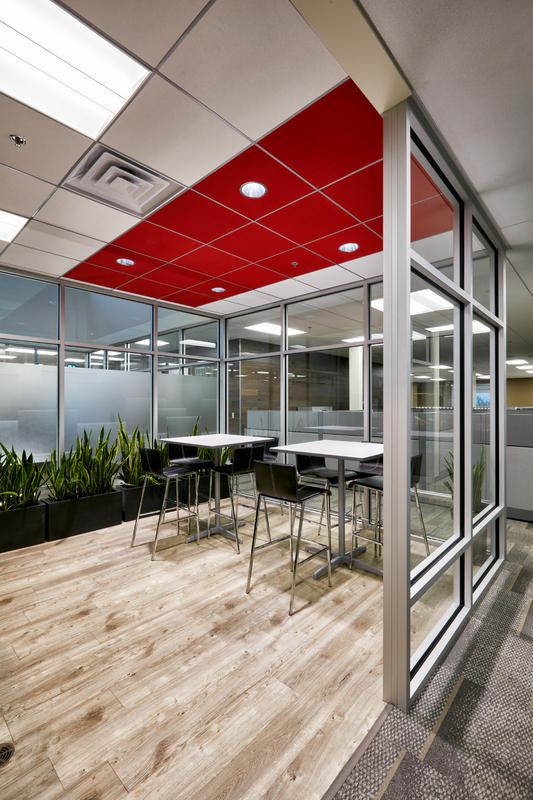 Color schemes can even be used to indicate the purpose and function of a space, to ignite creativity, to increase productivity or to make a room seem bigger or smaller." ROCKFON's specialty metal ceiling panels are available in metallic color finishes, Woodscenes™ painted finishes and Metalwood™ woodgrain finishes. 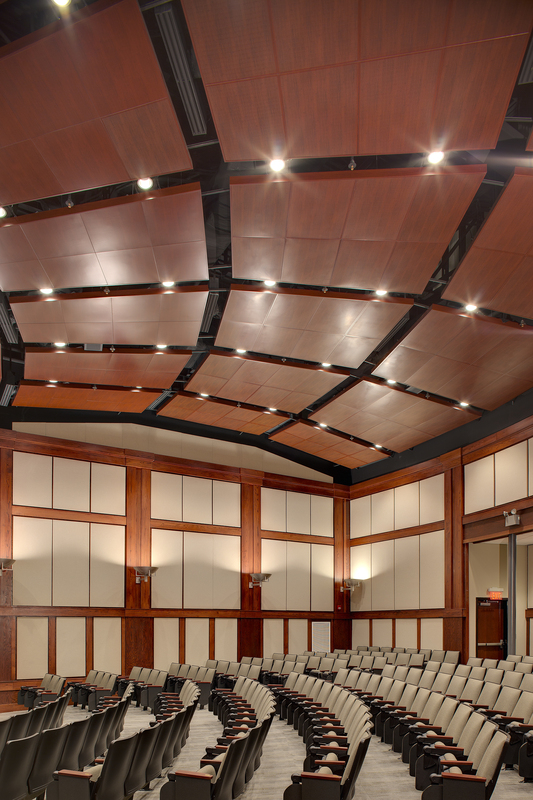 "Using metal ceiling panels finished in wood tones, you can capture the beauty of wood without the headaches of real wood, such as the adverse impacts caused by exposure to humidity and sunlight. With metal, there is less maintenance and performance specifications can be easily met," explains Marshall. "Our metal wood finishes can be used for high-end interior and exterior applications." ROCKFON products are known for their design, aesthetics and ease of installation, as well as their key performance features of superior fire safety and acoustics. Marshall adds, "Our acoustic solutions are among the highest performing, most cost effective and time efficient in the market. With ROCKFON, you no longer have to choose between acoustics and color." For customers seeking a personalized palette, ROCKFON offers RAL Colours, a color-matching program for its specialty metal ceiling panels and suspension systems.